Burbank, CA – As the crowds dissipate and the sci fi fans relish in their favorite experience from San Diego's Comic Con, it's martial arts equivalent, the Martial Arts History Museum's Dragonfest convention is about to unfold 130 miles up the coast on July 18 and 19 at the Holiday Inn's Media Center grand ballroom. In it's 11th year in Southern California, Dragonfest has been called the biggest and most exciting martial arts expo in the martial arts industry. Hosted by the Martial Arts History Museum, it is filled with some of the most historic icons, pioneers, champions and celebrities. 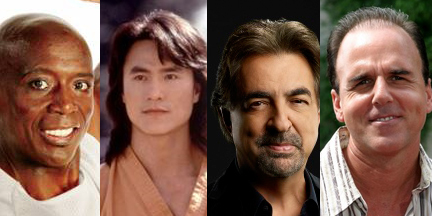 Highlighted this year with a number of star-studded television and film personalities, it's roster includes Joe Mantegna from Criminal Minds, Steve Oedekerk of Kung Pow Movie, fitness icon Billy Blanks and Sasha Mitchell of Step by Step. Held as the Museum's biggest fundraising event, Dragonfest also attracts the most celebrated icons in the martial arts field including film star Don “the dragon” Wilson, kickboxing great Benny “the jet” Urquidez, Queen of the martial arts Cynthia Rothrock, the King of Kata, Eric Lee, Kung Fu Icon Douglas Wong, Bruce Lee's best friend Leo Fong, film director Art Camacho, film star Olivier Gruner, Fumio Demura of the Karate Kid and many more. Dragonfest provides an excellent opportunity to introduce the release of the latest martial arts films including “The Underdogs,” “The Chemist,” “The Martial Arts Kid,” “Samurai Cop 2” and many more. The convention, which brings in thousands of guests, also highlights the newest martial arts weapons, fun martial arts toys, jewelry and more. For information on the Dragonfest convention, visit MuseumDragonfest.com or call the Museum at (818) 478-1722. Cost of Dragonfest is $25 for one day, $30 for both days. To make a donation to the Museum, visit their website at MAmuseum.com.